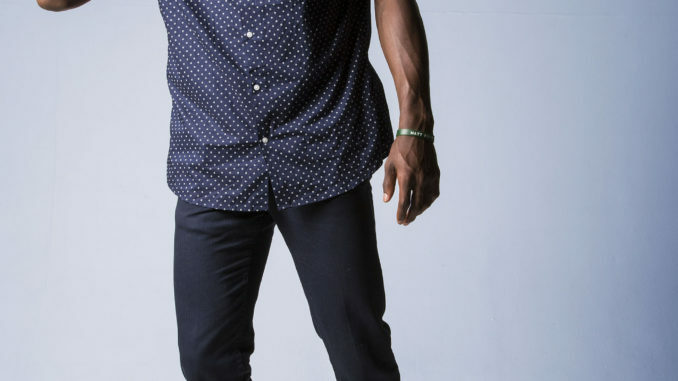 If you’re fashion-forward guy like me, you get excited about the summer season and its ability to make you look and feel your best while taking in the heat. Unlike the winter months, you can afford to wear pieces without being worried about salt stains or big parkas covering up your wardrobe. Pin-Rolling Your Jeans: If you’re into sneakers (like me), you want people to notice what’s on your feet. The challenge can be sometimes that the pants you’re wearing may cover up some of the features of your footwear. Pin-rolling is a simple tactic where you can taper and fold your jeans with having to invest in a tailor to do it professionally. Simply grab the inseam of one of your pant legs, tighten them around your ankles using your thumb and index finger, and simply fold them until you get to your preferred length. This will give your jeans a similar look to that of joggers, while also showcasing your sneakers. 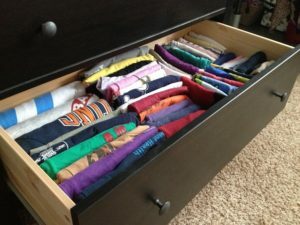 Maximize Drawer Space by ‘Filing’ Your T-Shirts: Sometimes when you own a lot of T-Shirts (like me), it’s difficult to see exactly what you have when you fold them the normal way in your drawer. Adding extra folds and filing them will allow you to maximize your drawer space while also giving you more options for your summer attire. 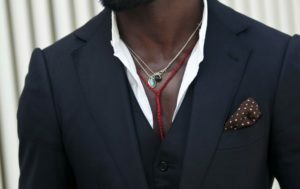 The Inside Seam of your Blazer Pocket Can Be A Pocket Square: If you ever need to dress up this summer, a good blazer can be paired with a nice pair of shorts, slacks or jeans. One interesting thing to note is the inseam of your jacket pocket. If it’s patterned, chances are you have enough fabric inside of the pocket to pull it out and use it as a make shift pocket square, especially if you’re in a hurry. 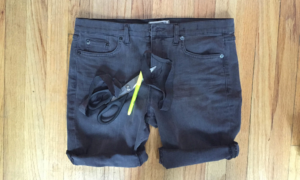 Turn An Old Pair of Jeans Into Shorts: You don’t have to be a seamstress to do this. The ‘Distressed and Ripped’ look is currently one of the biggest trends in men’s fashion. If you have an old pair of jeans, bring out the measuring tape and scissors and simply cut them. Make the length a little longer so you can cuff for a more fitted look, while also hiding any inconsistencies. 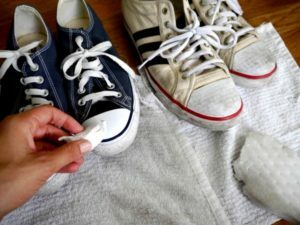 Magic Eraser Can SAVE Your White Sneakers: White sneakers can add so much to any summer outfit but keeping them clean can be a challenge. Thankfully a Mr. Clean Magic Eraser is all that you need. After a wear, simply take a Magic Eraser sponge; dip it in water and scrub off any dirt that you may have accumulated. After that’s complete, take a dry towel and rub around the shoe to ensure its clean. This especially works for shoes that are leather and have rubber soles.